Gingersnapple Sheet Pie. Not quite a pie, and not quite a bar cookie, this unusual dessert combines the best flavors of fall. 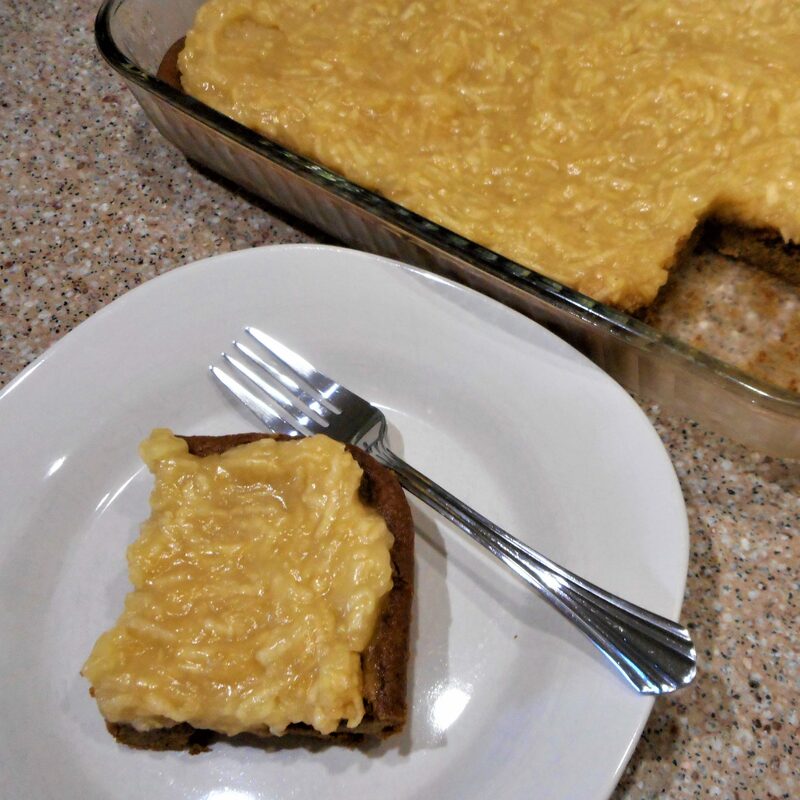 A cool apple topping is layered over a soft ginger cookie crust, chilled until firm, then cut into squares. Served warmed or cold, this recipe literally came to me in my sleep! 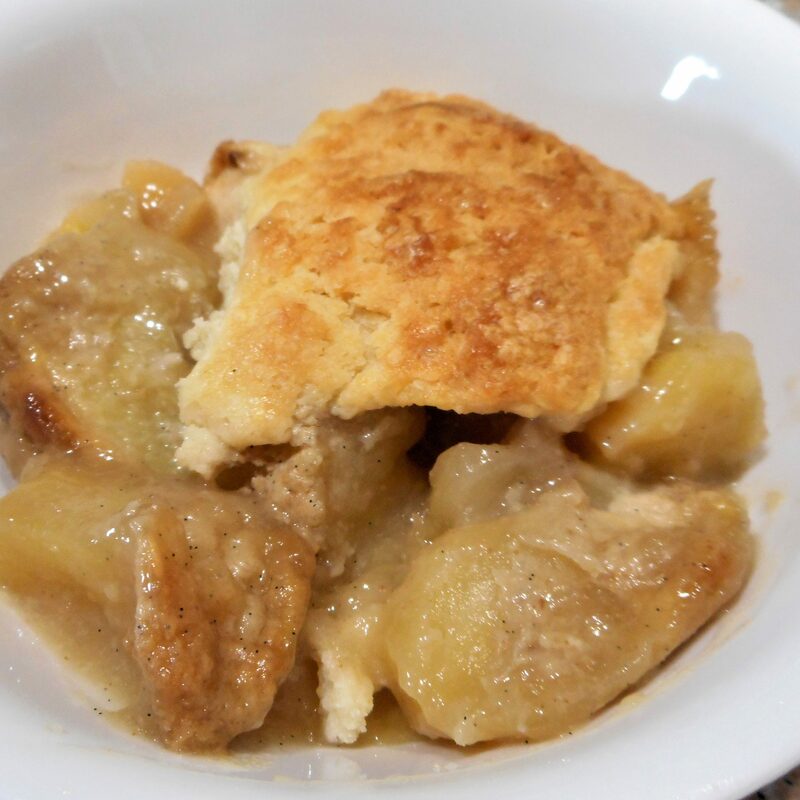 Or maybe you’d prefer an Apple Cobbler warm from the oven. This ones a little different with browned butter and vanilla bean. Try it with a scoop of vanilla bean ice cream on the side for a sweet creamy contrast. These apple offerings are the result of our annual trip to Scotts Orchard, just north of town. It’s a trek I drag Michael on each fall. I just can’t resist fresh from the farm produce and regularly bite off more than I can chew. I then have to find ways to use all that bushel of seasonal goodness. With the apple harvest, some recipes are just a given. Apple Pie Filling is always stashed in the freezer, just waiting for a crust. 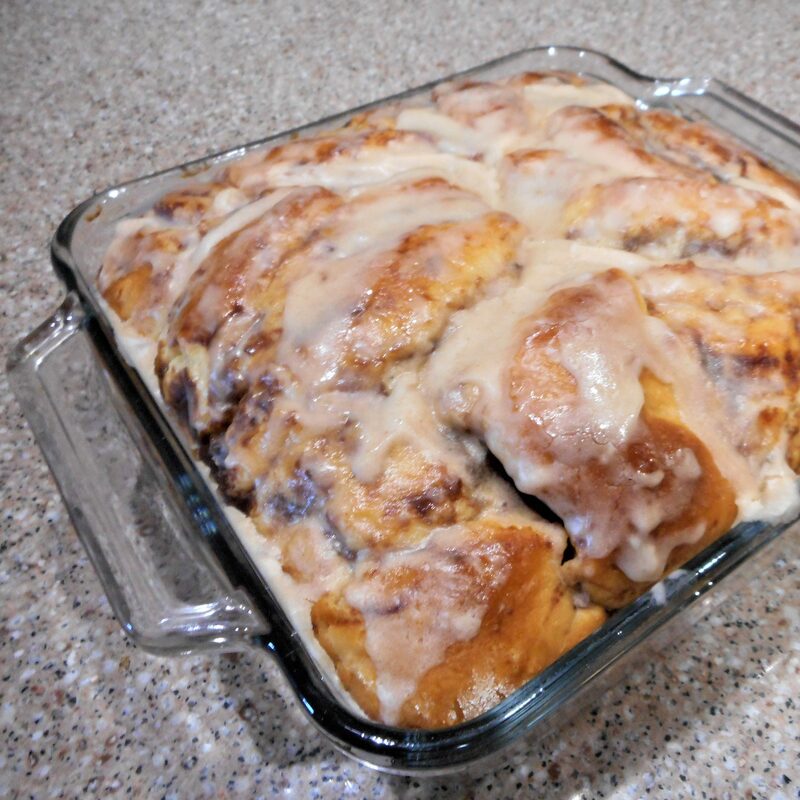 I almost always slow cook a batch of Apple Butter, followed by a batch of Apple Butter Cinnamon Rolls. 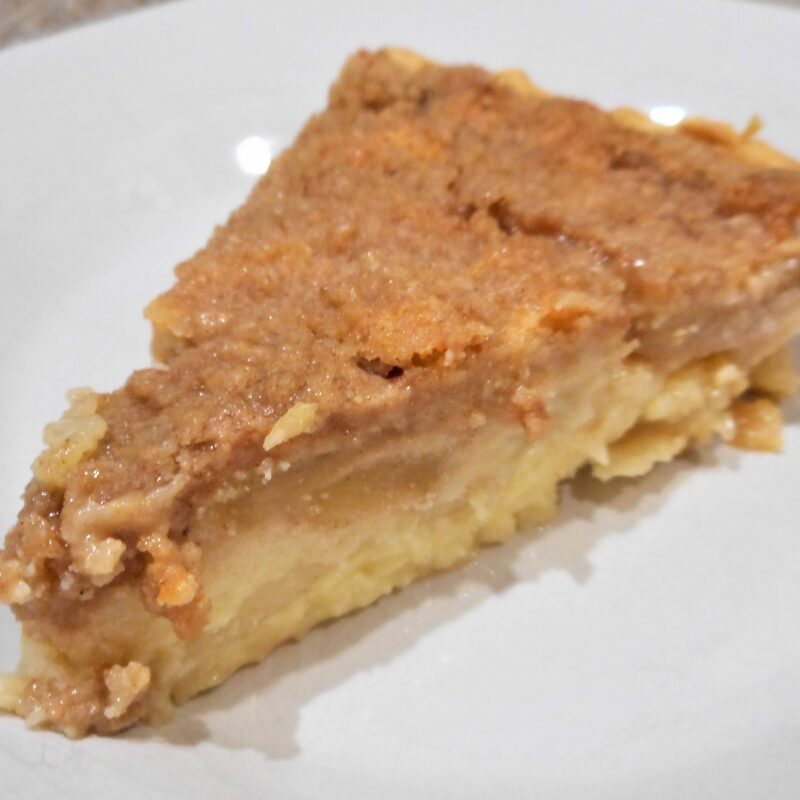 Along with my usual freezer stash of pie filling I tried another new pie recipe this year, Warm Apple Buttermilk Custard Pie. I found that it’s best chilled in the fridge for a few hours to set up really well, but then warmed a bit in the microwave to serve each slice. This one’s a keeper! Try it for breakfast with a dollop of vanilla Greek yogurt. No, I don’t eat leftover pizza for breakfast, but this pie has fruit, eggs and buttermilk. I’d call that breakfast food. A couple of dinner recipes were recent stand-outs. 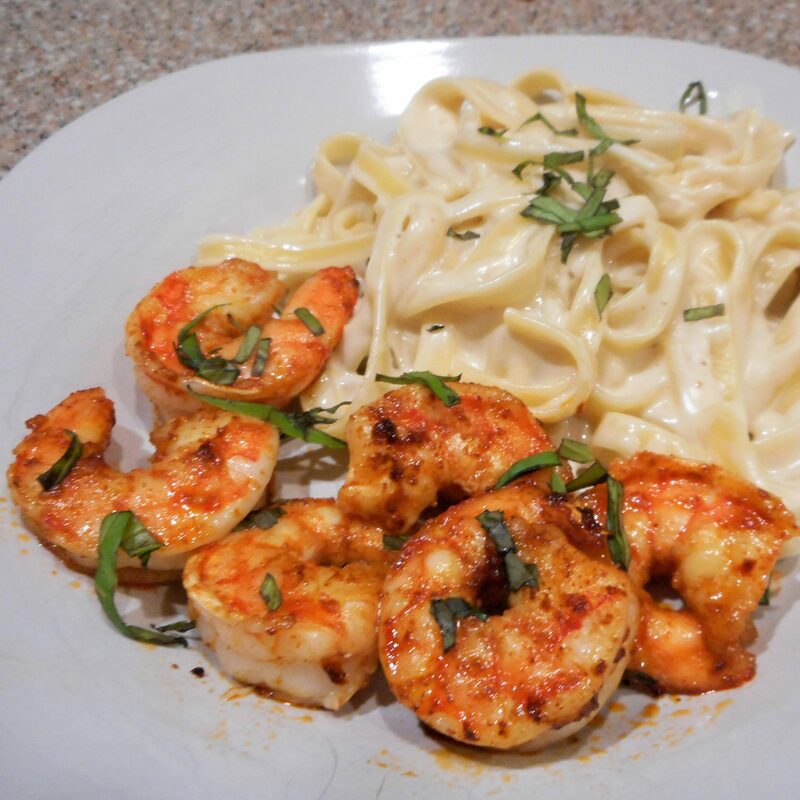 If you follow this blog you might recall that I postponed (moved the sticker down the menu calendar) Zippy Summer Shrimp. Well I finally made it, and that recipe is a keeper as well. I don’t recall where the original recipe came from, it was just in my files, but I tweaked it just the tiniest bit to resemble a shrimp dish served at Pappa Joe’s restaurant in Apalachicola. Success! I served it along side fettuccine bathed in Lite Alfredo Sauce. That combo will be showing up on the menu calendar again soon. 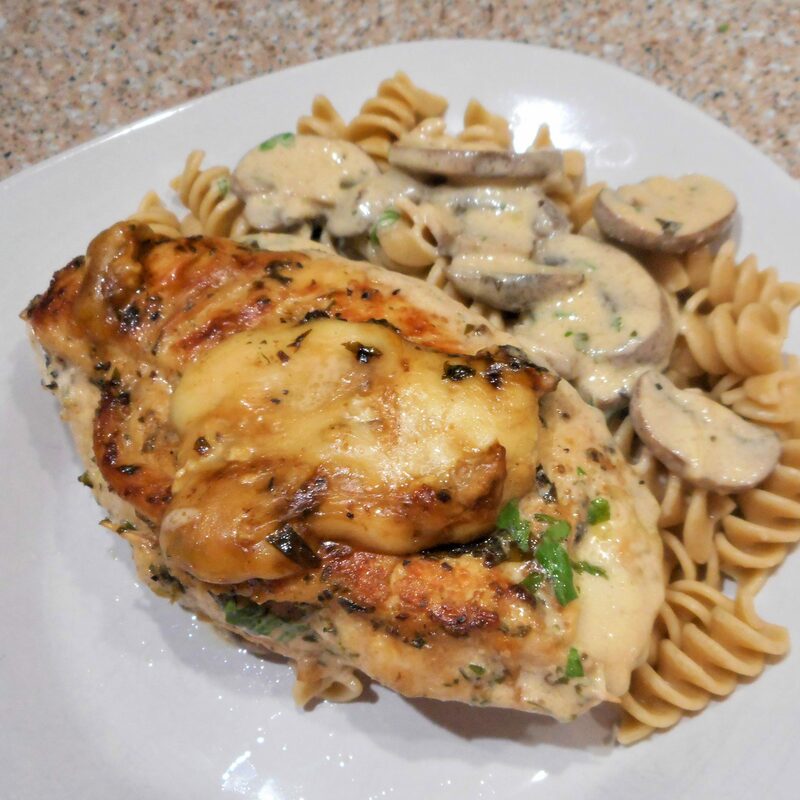 Another new recipe that turned out well was Garlicky Cheese and Mushroom Stuffed Chicken. Wow! Talk about flavor! This is not your usual bland boneless chicken breast. Some of the cheese did seep out, but I just plopped it back onto the chicken. I suppose you could avert this issue by cutting a pocket into your chicken breast rather than booking it, but I find that process frustrating. I can never get enough filling into those tiny pockets. The choice is yours. Well, I started this post with dessert and finished with the main dish. Maybe we should start eating that way! Be thankful for what life gives you. This entry was posted in Uncategorized and tagged apples, menu planning, recipe ideas, recipes on November 1, 2017 by lizziesmom2012.